I was getting a little spray painting in last week before our vacation and I realized afterwards that I had never shared my little secret for removing spray paint from skin here on the blog. 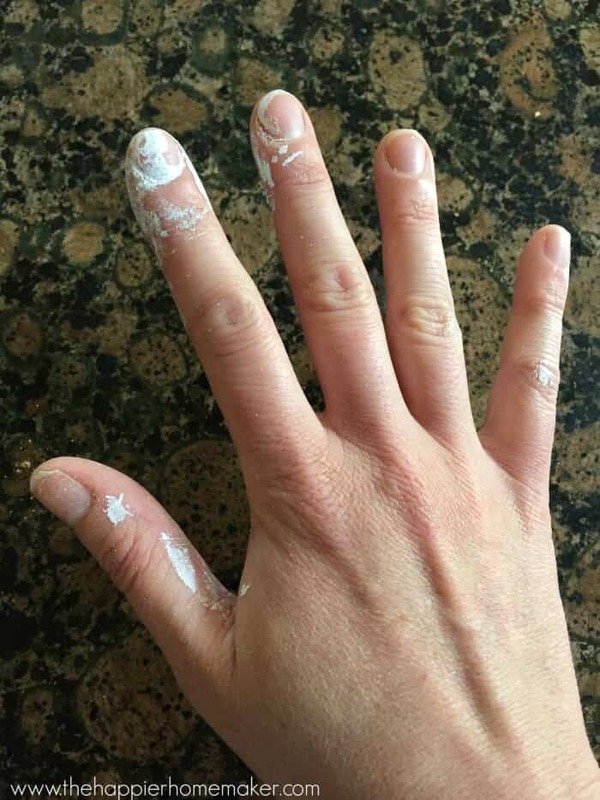 I HATE getting paint all over my hands but I also seem to forget to wear a glove pretty much every time I paint something. 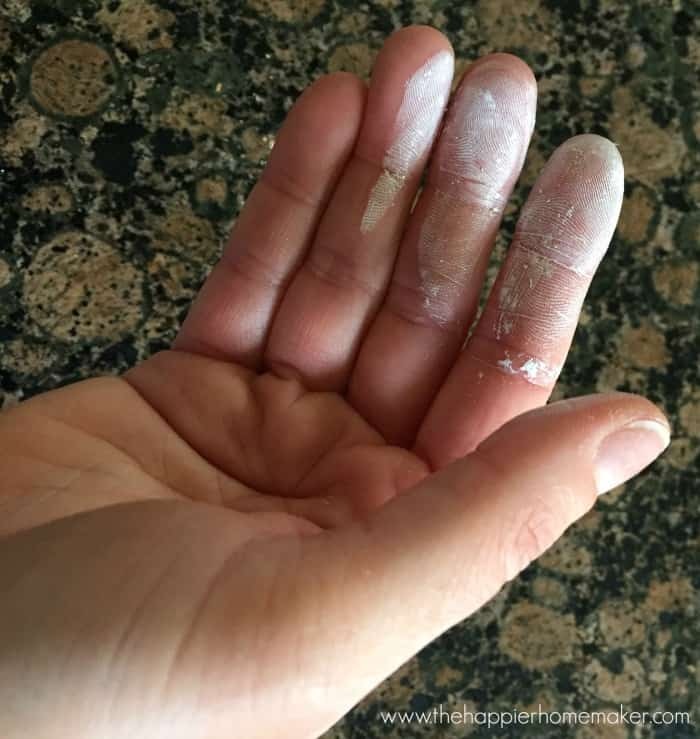 I used to scrub my hands raw trying to remove it or strip my skin with acetone or mineral spirits until I found the secret that gets it off in less than 3 minutes-essential oils! Here was the damage from a quick paint project-not too bad but annoying enough! 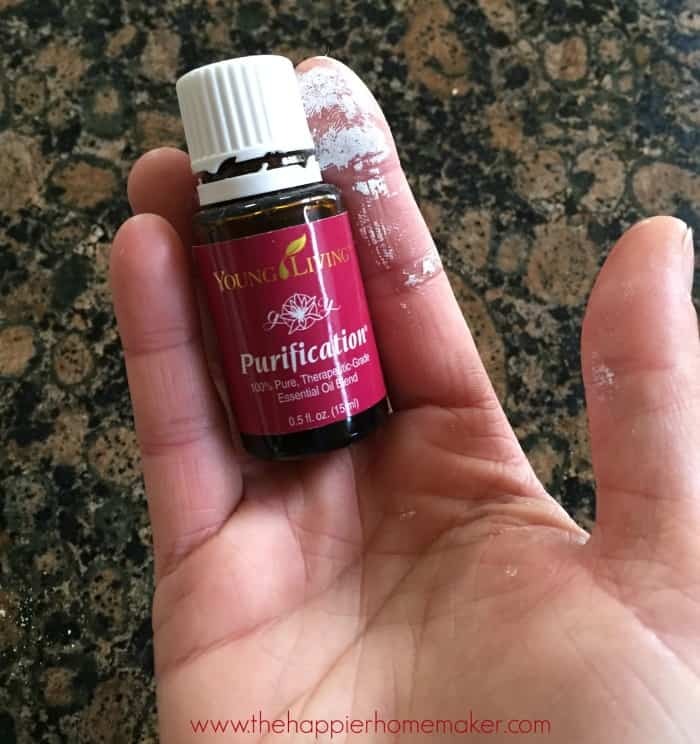 I grabbed my Young Living Purification Essential Oil-it’s my favorite for eliminating odors as I’ve shared here, and it just smells so “clean” to me! I dropped a few drops on the painted areas and rubbed it around with my fingers. You can see it thinned the paint immediately. 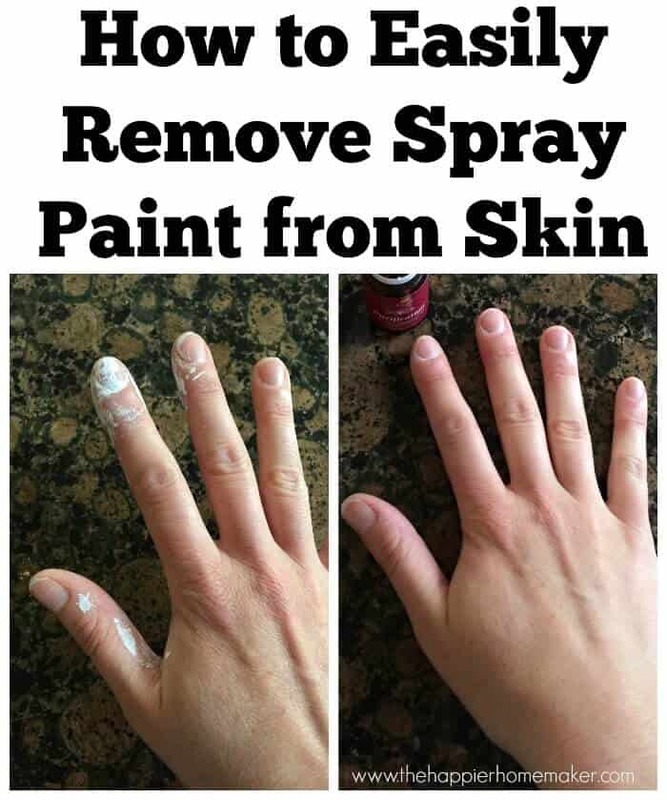 Continue rubbing the paint off and then give your hands a good washing (essential oils will sting the eyes so you want to make sure you get it all off your hands.) If you haven’t tried this Thieves handsoap by the way-it’s awesome! I love the clove smell! Voila! No more paint! 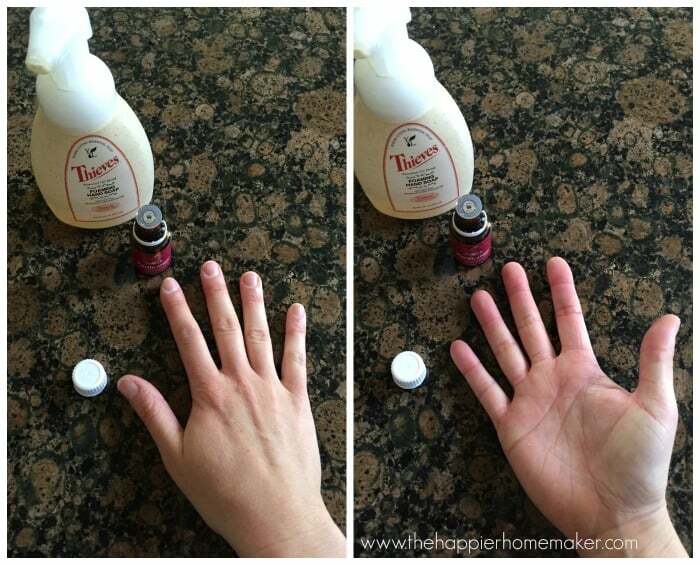 This is seriously the easiest way to get paint off your hands quickly and gently! Anybody else have icky nails? I’d blame all the DIY but that would be a lie-they’ve always been that way and at 35 years old I’m accepting that they always will!! This is a great tip. By the way, your hands and nails look really good compared to mine. I’ll have to try that Cathy! Thanks for the information! People that judge other people are usually very insecure about themselves. Your hands look like they belong to a woman that is not afraid to work!!! BEAUTIFUL! Nice idea, I didn’t know before about this beautiful product. Thanks for your kindness. Or you could just use a bit of WD-40 sprayed on a rag, that works also.